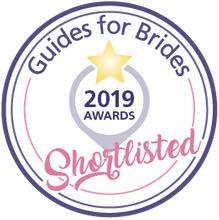 A lovely start to the new year to discover I’ve been shortlisted once again in the ’Celebrants & Toastmasters’ section of the Guides for Brides 2019 Customer Service Awards. 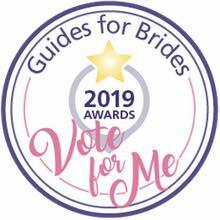 All shortlisted suppliers have a month to gather votes, which will then be assessed and the finalists will be chosen by a panel of industry judges. So, I am asking a favour of you lovely people! Whatever the outcome, I am grateful for any support you can offer. Once again, Happy New Year to you all!